• Immediately download the full version of AudioLabel 6.0. • Free upgrades for 1 year, including all major upgrades and version updates. 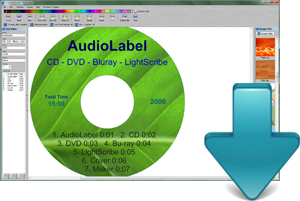 • Includes a download link to the full version of AudioLabel 6.0 that never expires. • Automated system to retrieve lost download links. Never lose your copy. • Unlimited Email and Forum Technical Support. • One-time payment, no obligation to upgrade. 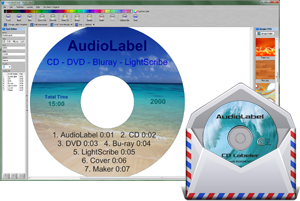 • Receive a Backup CD with the full version of AudioLabel 6.0 in the mail. 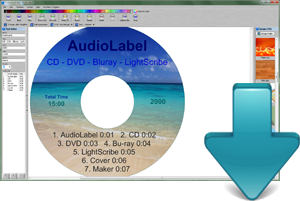 • Includes all the same benefits as the AudioLabel Instant Download. In order to upgrade, we need to find your account. 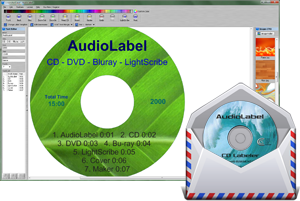 Please enter the email address used to purchase AudioLabel and click 'Continue'. • Upgrade from any previous version of AudioLabel. • Purchased upgrade includes another year of free upgrades. Click Flag for Currency Conversion. CdCoverSoft is committed to protecting your privacy. Any personal information collected is never shared, sold, traded, or disclosed to any third party. We are simply in the business of making great label software. Online orders use a secure HTTPS connection to protect any personal information sent over the internet. There are two main versions of AudioLabel, the free trial version and the paid full version. The trial version is limited to 15 days of printing, and the full version has no restrictions. After purchasing AudioLabel, please make sure you download and install the full version.